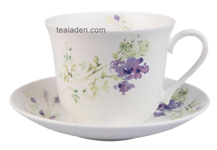 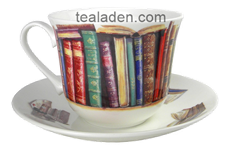 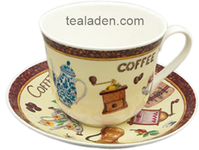 These extra large fine bone china breakfast cups and saucers are made in England and hold 16 ounces of your favorite beverage perfect for coffee or tea. 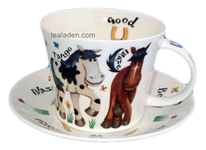 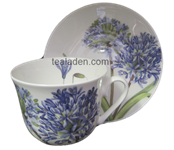 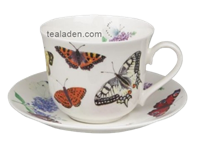 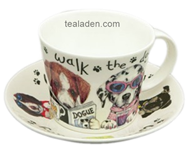 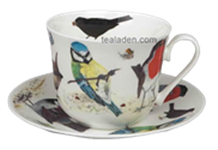 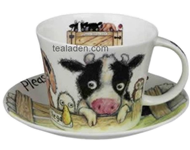 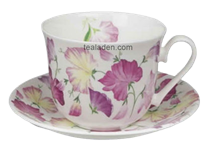 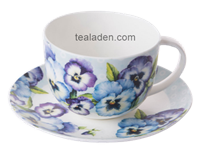 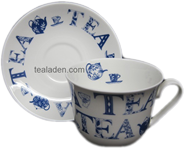 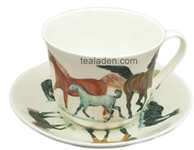 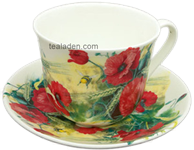 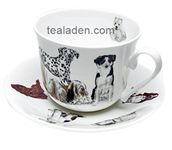 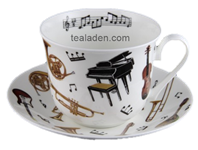 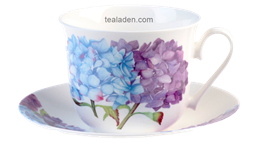 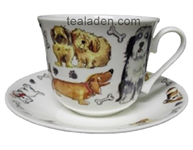 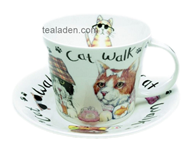 All the fine bone china we sell at Tea Laden are first run not seconds. 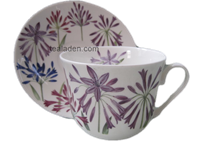 Each piece is expertly made, decorated, and examined for flaws. 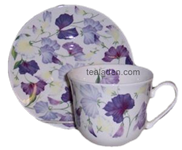 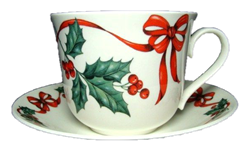 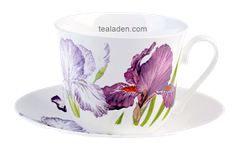 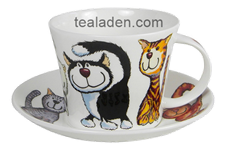 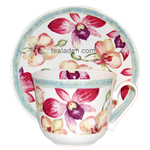 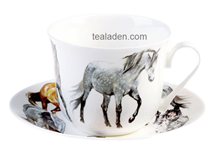 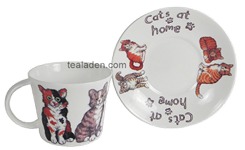 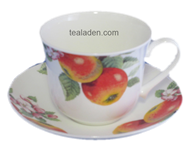 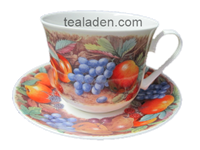 This makes sure you will be delighted with your purchase of any breakfast cup and saucer purchased from us. 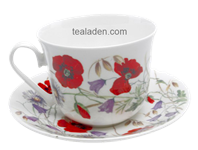 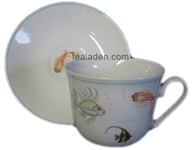 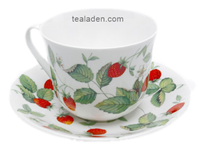 Fine English bone china has a long tradition of quality and style that can only be found in china made in Britain. 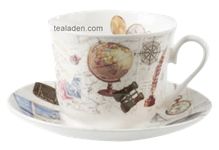 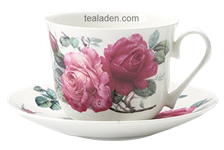 Bone china teapots, mugs, creamer, and sugar sets are now being produced in China and Malaysia so be sure to know the country of origin when buying your bone china, since quality is so important when purchasing a tea set to become a family heirloom.